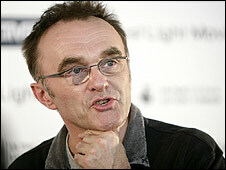 Oscar-winning director Danny Boyle is to film the true story of a climber who was forced to amputate part of his arm, according to US media reports. The movie, called 127 Hours, is yet to be cast and would largely feature one actor, said industry paper Variety. Aron Ralston used a knife to sever his arm when it became trapped under a rock during a climbing trip in 2003. Boyle won best director and seven other Academy Awards for his rags-to-riches tale Slumdog Millionaire in February. The creative team behind that film, including screenwriter Simon Beaufoy, could reunite for 127 Hours, Variety said. Aron Ralston lost the lower half of his right arm following his five-day ordeal in Utah, six years ago. He said it took him about an hour to free himself, after which he applied a tourniquet and administered basic first aid before abseiling off a 70-foot (21m) ledge and beginning the hike back to his vehicle. He eventually encountered a family who gave him food and water and alerted the authorities. Ralston, who had not told anyone about his trip, was forced to drink his own urine after his water supply ran out while his arm was trapped. His arm was later retrieved and cremated, and the mountaineer returned to rock where he had been trapped to scatter the ashes. Esta entrada fue publicada en Uncategorized y etiquetada Freak, Tablas y pantallas por mthegap. Guarda enlace permanente.